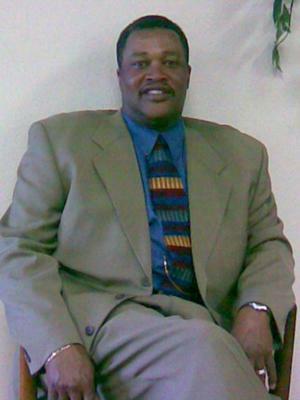 Bishop Bryan E. Nickerson Sr. is the oldest son of Herbert and Verlene Nickerson. He was born and raised in Kansas City, MO. For fourteen years, our pastor has been a loving and devoted husband to our precious and beautiful First Lady Karla Nickerson. He has three children, Tori, Bryan Jr., and Zachary, and a granddaughter Miss Sydney. Bishop Nickerson is also a spiritual father to many across this country. Bishop answered the call to pastor the church eleven years ago. To this day, we have spirit-filled fellowship at The Way Apostolic Church in Aurora, Colorado. In February 2006, we joined World Assemblies of Restoration (W.A.R. ), under the leadership of our Presiding Prelate Bishop James D. Nelson Sr., First Assistant Presiding Prelate Bishop Jonathan Wallace, and Second Assistant Presiding Prelate Bishop Nelson Jones. A year later, March 2007, the Lord elevated our pastor to the office of Bishop. Our pastor now labors as Bishop over the Colorado Diocese. The Lord gave Bishop Nickerson a vision to bring pastors and churches together. Being obedient to the Lord, Bishop founded Kingdom Builders Fellowship. We had our first service in January 2007. With the Lord's increase, we now have seven pastors and churches fellowshiping and worshiping the Lord Jesus Christ together. We are looking forward to our first conference in October 2009. Bishop, over the years, you have been our lifeline, a man of strength, valor, integrity, and character. You are a man of a Great God! You have been an example before us as to what God can do. Bishop, we know you have overcome many obstacles and persevered through many storms. You have been falsely accused, lied on, talked about, and mistreated, but through it all you have kept the faith, trusted in the Lord and held your head up high. May God bless you abundantly... We love you!